Solution for heavy weights light wind shallow water thick weed. Been try to think of a solution for those light wind days for heavy weights in shallow water and thick weed. 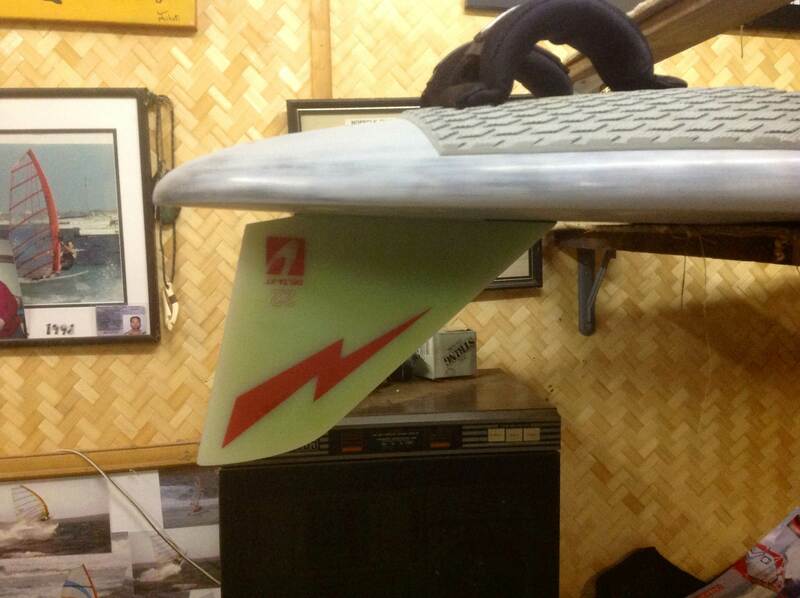 The problem is you need a big wide board but to make it work you need a big fin. Budgie works best with the smallest fin you can get away with, if you want to get in and out of the shallow thick weed spots. The F2 Vegas Twin 156 works great with 2 x Delta XT 16 in getting into the shallow spots but you still need some wind. 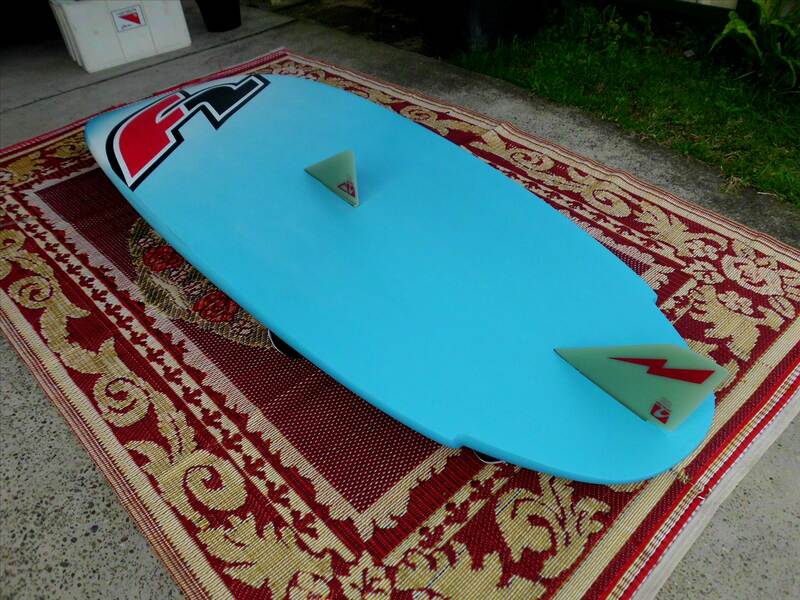 So I thought lets try the F2 Ride 185 the biggest production board I could find without a dagger board. But with it having a optional center fin I remembered years back reading a windsurfing mag were they were talking about experimenting with small center fins in slalom racing to improve the upwind ability. So I thought why not stick a small Delta in the central position (the smallest I have at the moment is 16 however if it works I will be getting a 14 to try out ) and a bigger Delta XT in the back. I plan to start off with a Delta XT 22 but am hoping if it works to try smaller Delta XT fins. In the deeper water at Canton I plan to set it up with just a single Delta XT 26. Will give it a go tomorrow to see how it works. Looking forward to hearing how this goes. Hope it works for you. what are light winds for you ?? You are a light weight compared to me! I was around the 105kg mark 20 years ago windsurfing was simpler back then. I am around the 135kg mark it changes the way things work. I do not expect to get planning before 15 knots and because of that you need a board that will float you in and out of the shallows when the wind drops below 15 knots it tends to be very gusty here so having the bigger board helps us XL heavy weights to keep going in the lulls. Took the board out for a wobble yesterday at Canton so was able to use a single Delta XT 26. It was not much more than 5 knots so was not expecting anything just a test to see how it floated me. The board felt good lots of float. The wind was to light for the sail to work well, will need to look into a sail more suitable for the below 15 knots sessions. The board has a massive mast track would be double the size of a standard which means lots of experimentation for mast position. 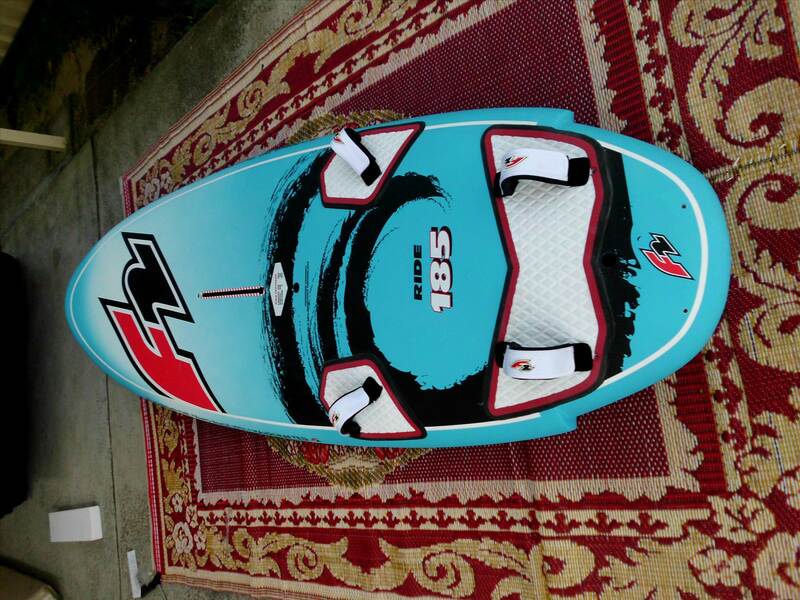 Will report back more when we eventually get some wind here and I can go for a blast on the board. 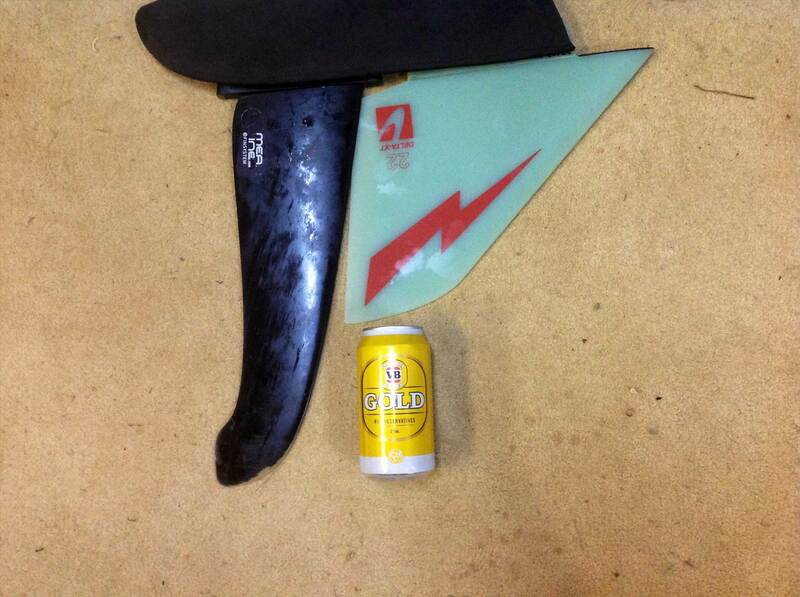 I am eager to see how it will work with a small delta central fin. Yesterday I was on a 9m 3 cam slalom sail. The sail is designed to be powered up not so good slogging. You are better off in sub planning conditions with a sail that is easy to bag out and has a tight leech. I have never been a fan of sails over 8.5m. Maybe with the bigger board things might change. The new Delta XT is massively different from the original Delta so much more grip. I think it is really going to open up shallow water sailing for people giving them the confidence to push hard into the shallows. 8.5 is my preferred max sail size also. I'm use to using 36 plus fins but limited to shallow reef ...there is not other fin for me to use ...with my Titan 130 on a low tide ...but I'm ready to go ...I was told by a reasonable source this will be equal to a 44 for lift . I cannot imagine that center fin will help anything at all.